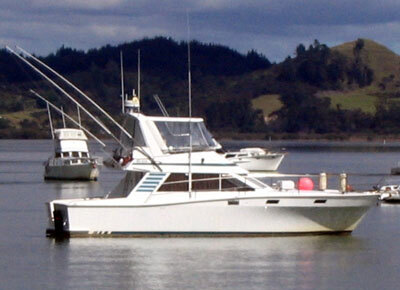 SANTANA is a 42ft Pelin Columbia purpose built gameboat powered by a 3208 cat, designed out of triple skin kauri with a good size beam making SANTANA a sea kindly vessel. 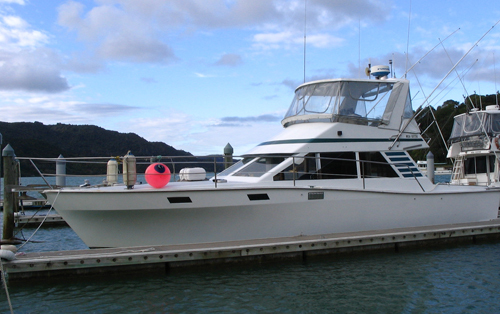 She has a very spacious cockpit, comfortable game chair and three game poles. The flying bridge has ample room to maintain a watch or stretch out in. 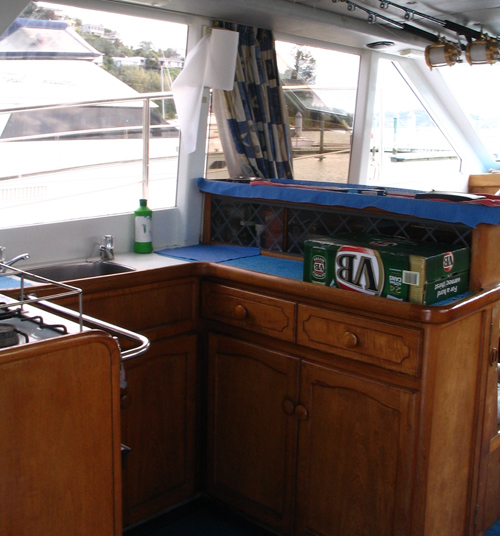 The saloon is roomy, with long comfy berths, full kitchen facilities and sizeable fridge and freezer. 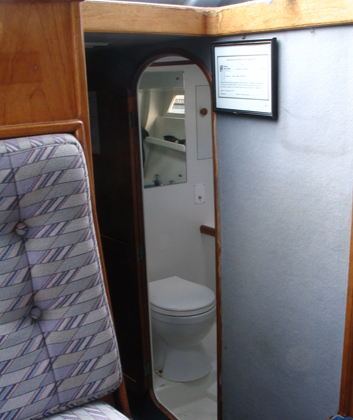 Downstairs there is the combination shower/toilet (normal size loo) with a sewerage treatment plant. 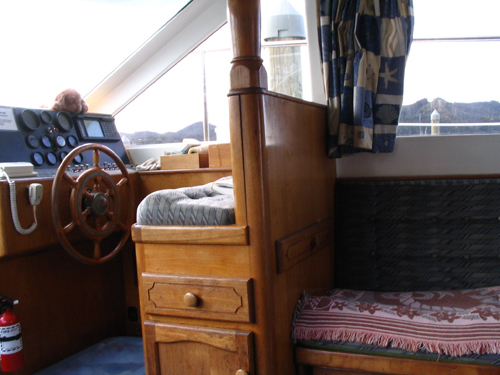 Opposite there is the skipper/bunk room and the bow has four large single berths. 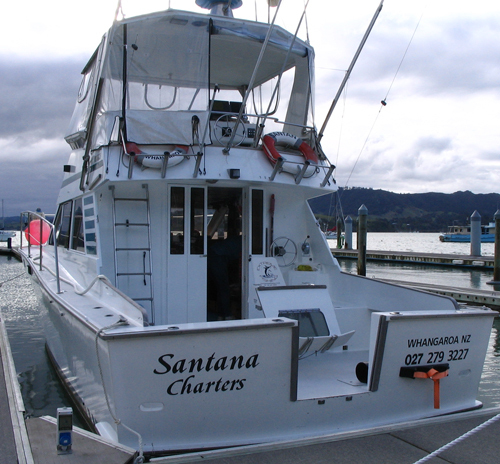 SANTANA is a comfortable boat - practically a home away from home with most creature comforts, music, t.v, power for the camcorders, cameras and phones (if you must).